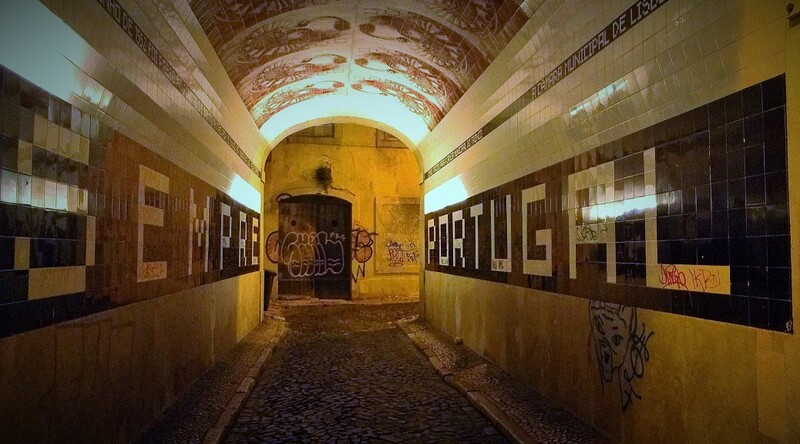 I really can’t say enough good things about Lisbon. It’s a city I love for many reasons, not the least of which is the delicious and inexpensive food that I ate while I was there. 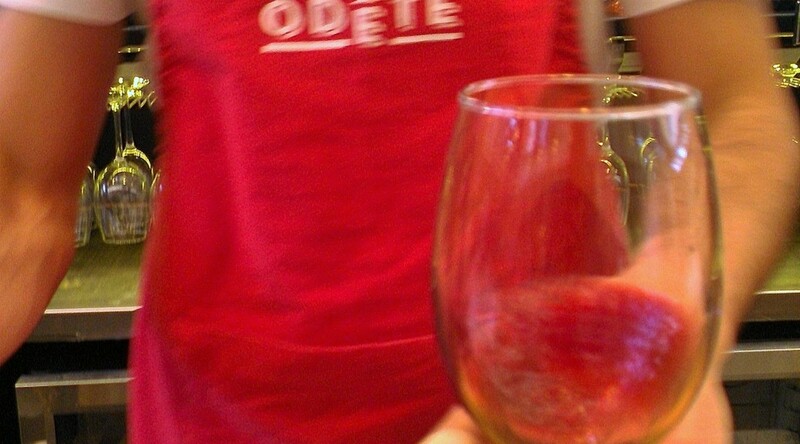 A plate of fresh fried dorado steaks with all the fixings and a bottle of wine for under 10? 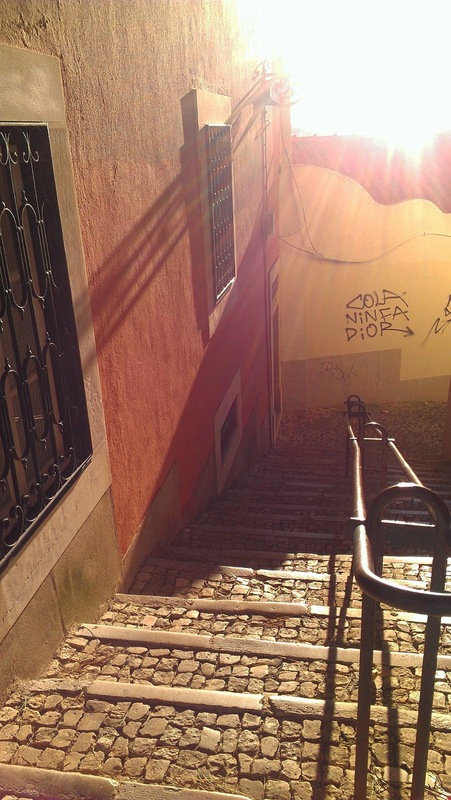 Restaurant Cerqueira is worth the short but steep walk outside of the main tourist area of central Lisbon. 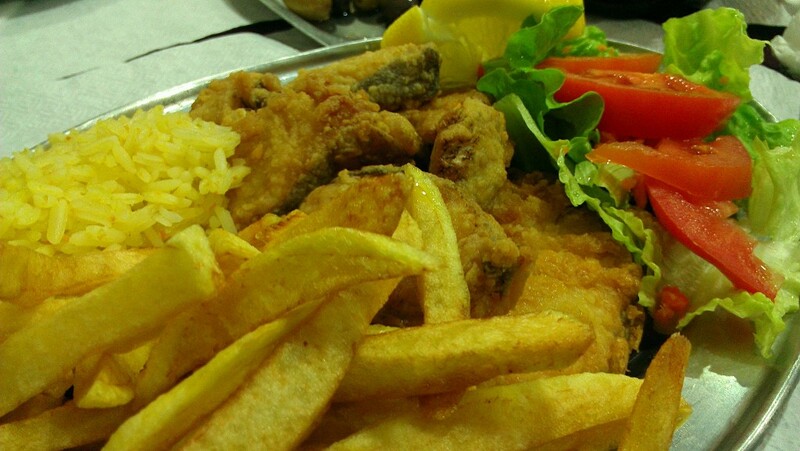 The famed dish of Lisbon. 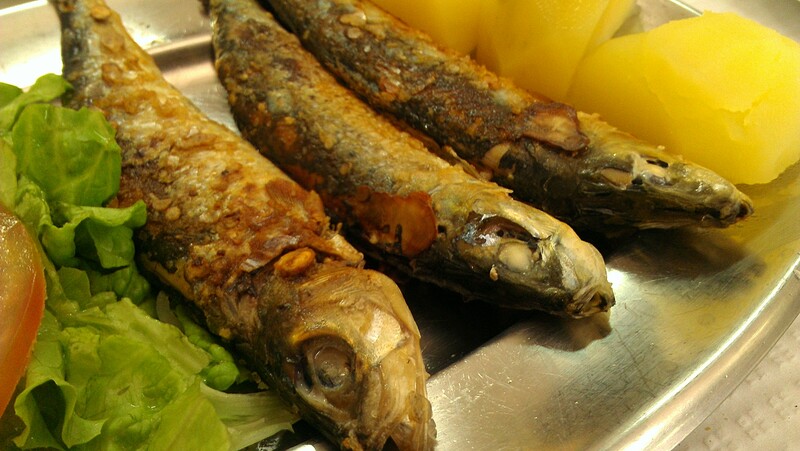 I love fresh fish that’s simply prepared. These sardines were both fresh and simple, yet full of flavor. Seductively creamy, subtly sweet, surrounded by a light flaky pastry and topped with an angelic dusting of cinnamon. 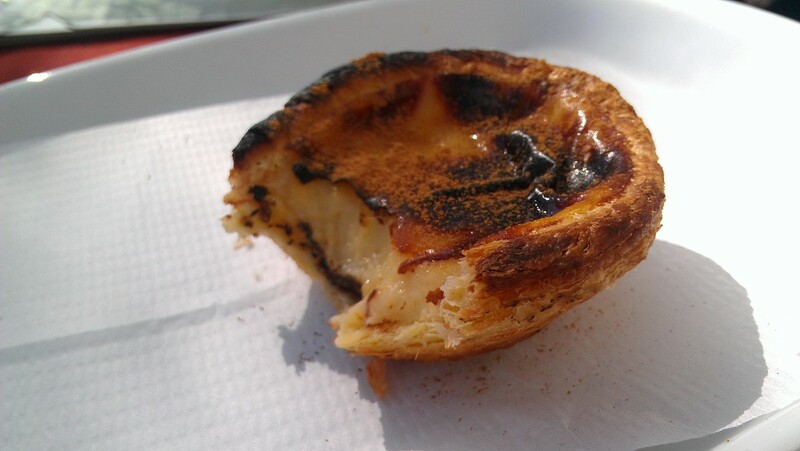 The pastel de Belem begs to be eaten with a strong cup of espresso. Who am I kidding? It begs to be eaten whenever, wherever and with whatever. Once again, my love of fish was perfectly sated in Lisbon. 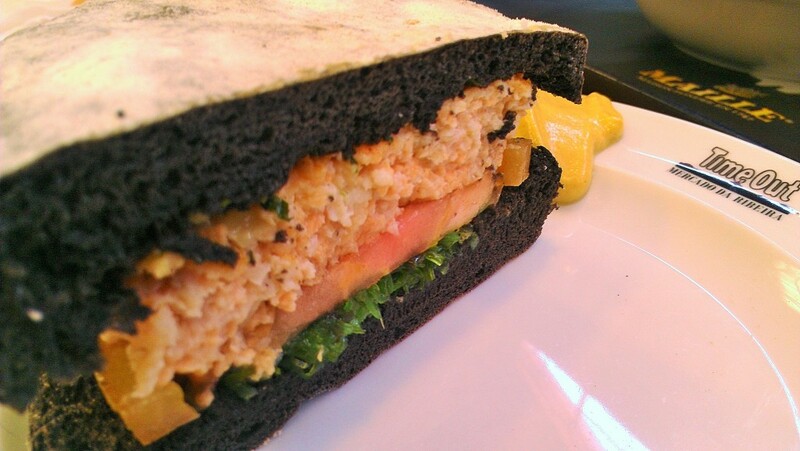 At the Mercado da Ribeira this gourmet burger stand served up a grilled salmon patty on a bun tinted black with squid ink. Unbelievably good. There were so many gourmet and well-priced food options in the Mercado da Ribeira’s dining hall, that my travelmate and I decided to split one (the salmon burger), so we could both have two dishes. My second – this perfectly cooked cod filet over a warm garbanzo spread was as delightful to eat as it was to look at. I’m pretty sure I embarrassed myself slightly via my inappropriate moans while eating this dish. 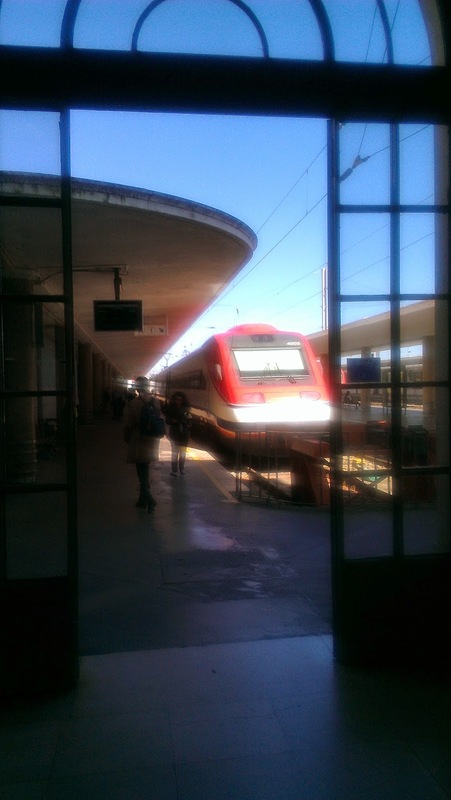 Just before leaving Lisbon, I stopped by Café Beira Gare, which is rumored to serve the best bifana in Lisbon. This deceptively simple pork sandwich had my mouth watering for hours after. 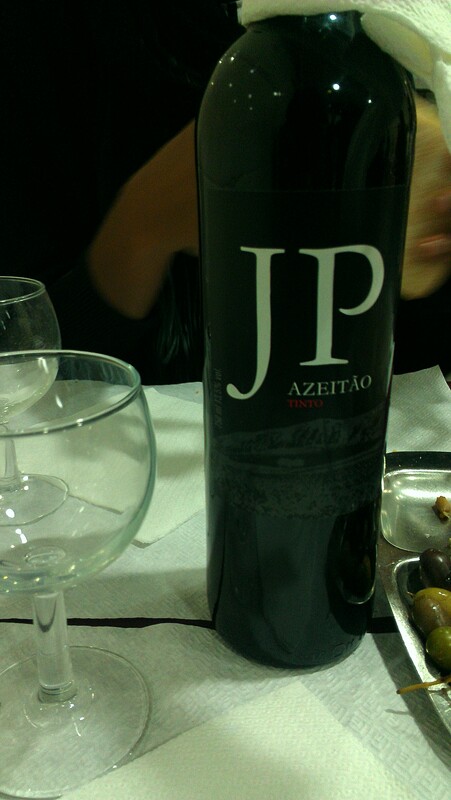 It’s best accompanied by a cold Portuguese beer. 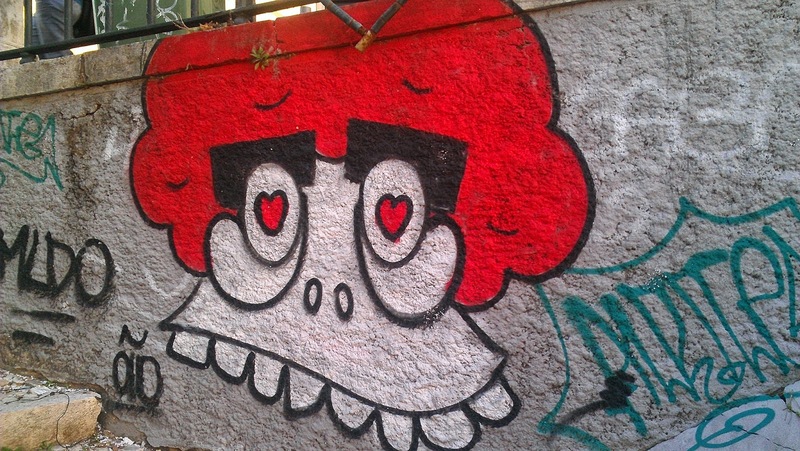 Have you eaten your way through Lisbon yet? 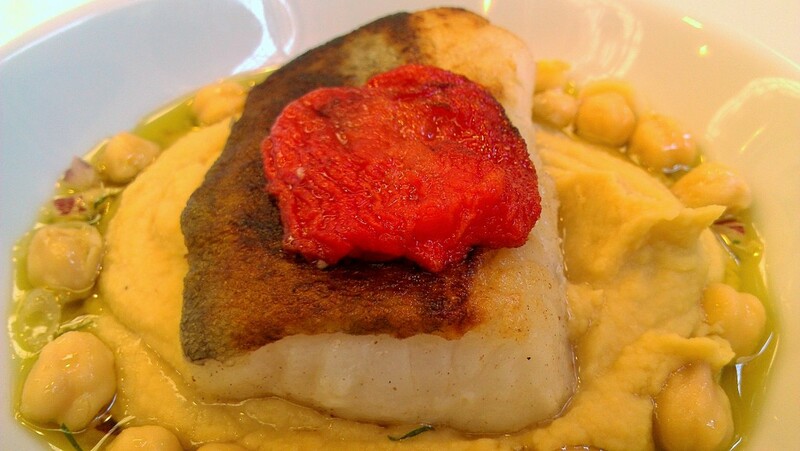 What are some your best food finds in Lisbon? 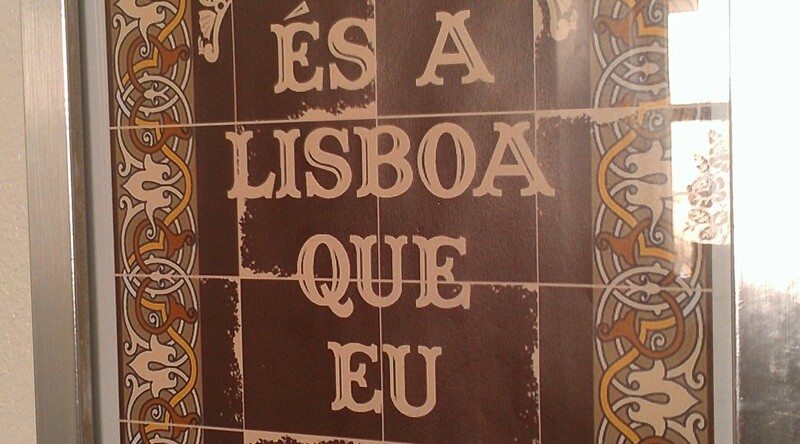 I love the sound of Portuguese. As soon as I slid into my seat on the plane from Madrid to Lisbon, I couldn’t help but smile. 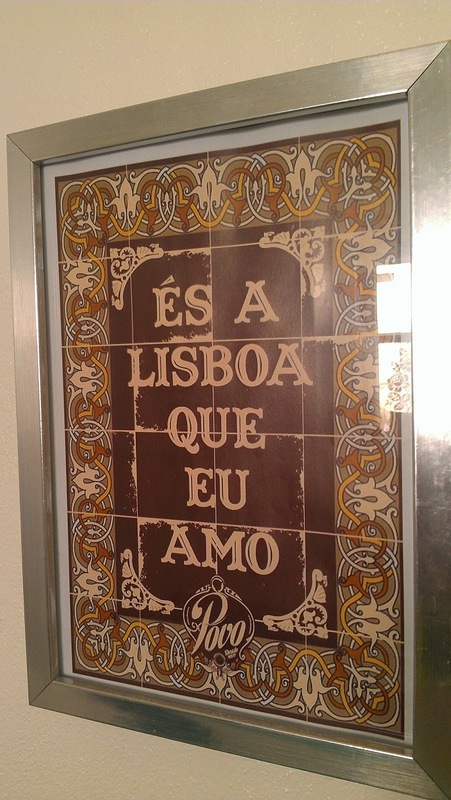 Portuguese swirled around me, sounding like a hybrid of Italian and Spanish spoken with lilting intonations that lulled me to calm. 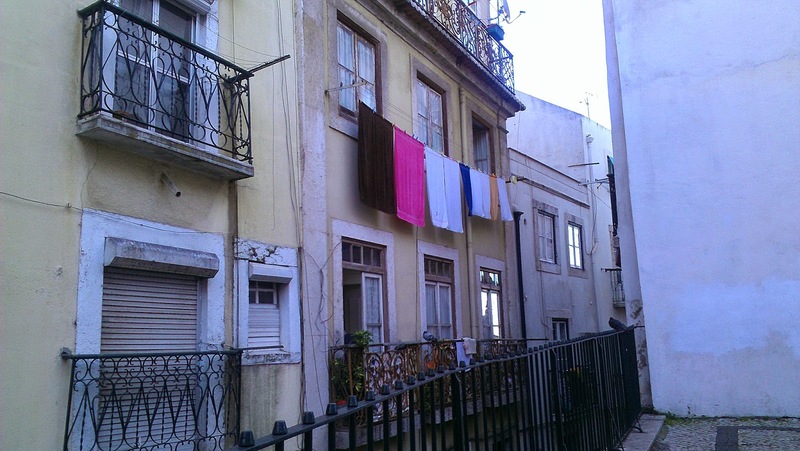 Despite it being a big city, Lisbon’s residents were never too busy to engage in a small bit of conversation, and always seemed quite friendly and willing to help – especially if you tried to speak even the smallest bit of Portuguese. 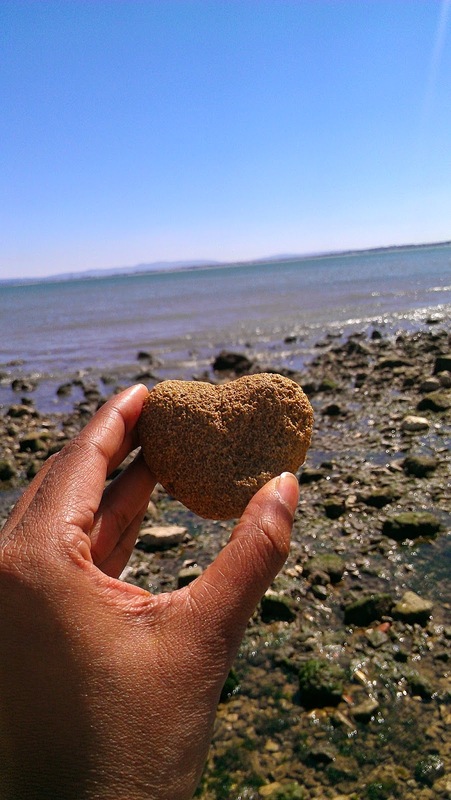 To show appreciation for their hospitality, the great food, perfect weather, and the affordability of it all – learning how to give a heartfelt thanks in Portugese was the least I could do. 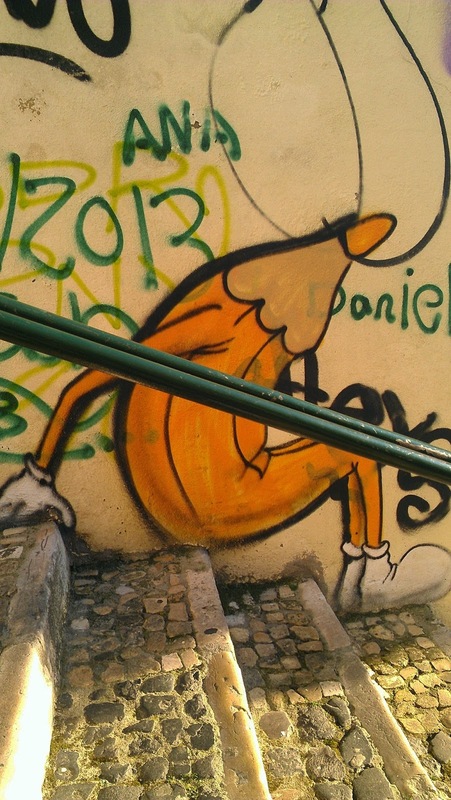 This post is part of a series on How To Do Lisbon. 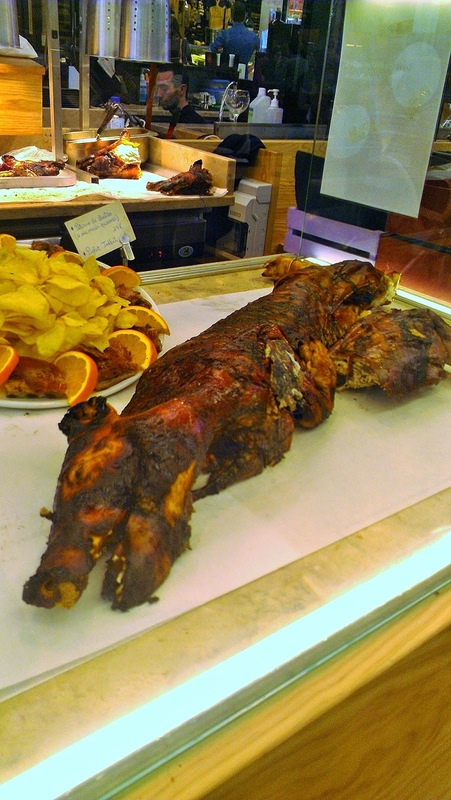 While the bifana didn’t originate in Lisbon (that credit goes to the town of Vendas Novas), the snack is strongly associated with Portugal’s capital city. 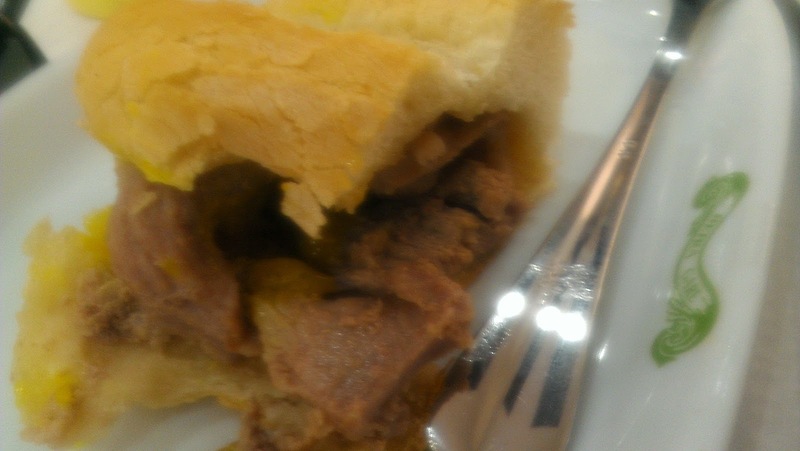 The bifana consists of a juicy stack of thinly sliced pork layered on fresh, soft yet crusty bread. Sounds simple, but the unseen effort and just-right ingredients are what make this sandwich sublime. The pork is slow-simmered in a seasoned marinade. The bread is pillowy inside and just crackly enough outside. When the sandwich comes together, the juices from the meat seep into the bread, staining it with flavor. Served along with a helping of mustard that you can add as you please, the bifana is a deliciously indulgent snack that you can only experience in Portugal. 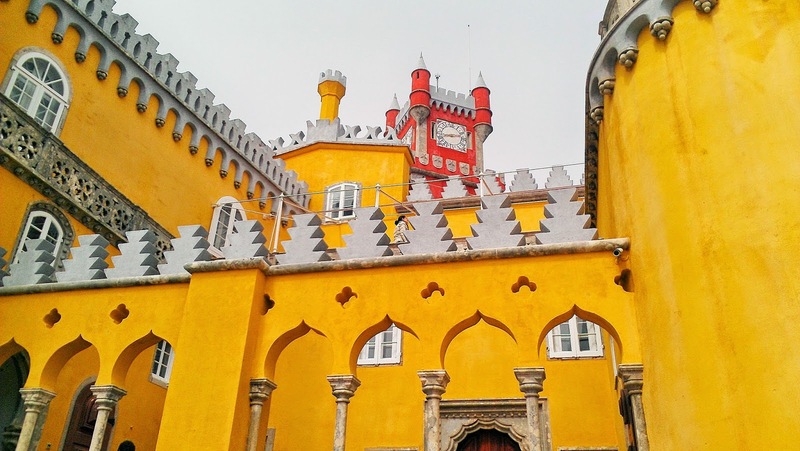 Two of Lisbon’s most popular options for day trips are Cascais – a beach resort town – and Sintra – a historic village known for its old castles. 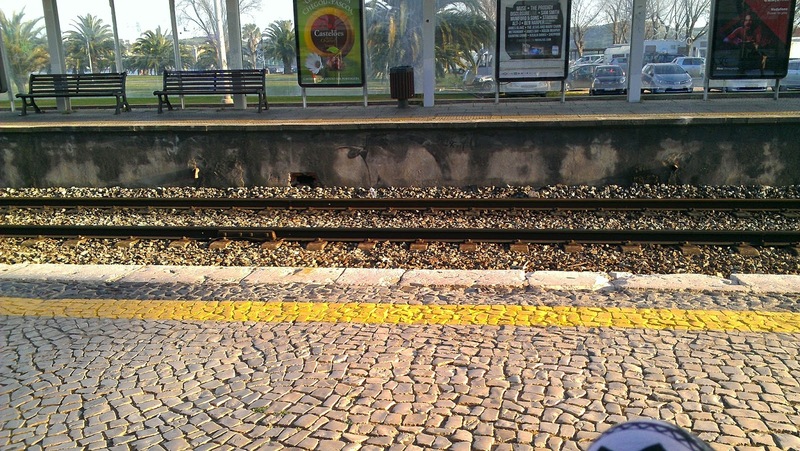 Both cities are only about an hour away using Lisbon suburban rail line, Comboios. 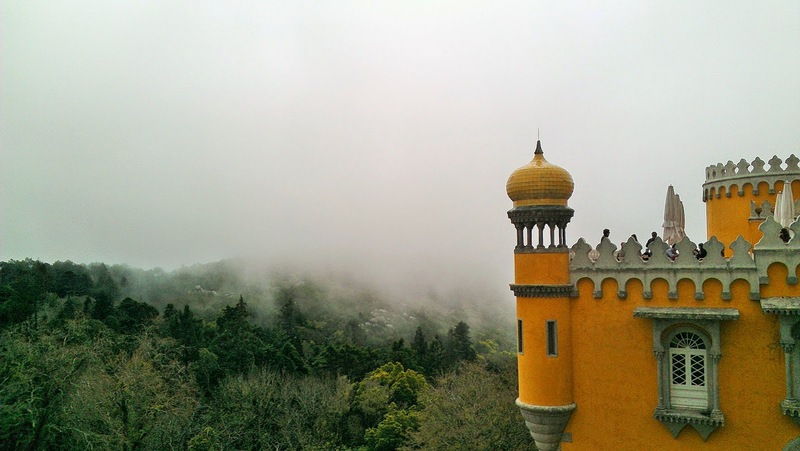 I chose to visit the quaint and charming Sintra and its majestically quirky storybook castle. There’s an admission fee to enter the castle grounds and the castle’s terraces – but I think it’s worth it to get an up close look at such a colorful spectacle perched high among the clouds. Of course, you’ll have to share the view with lots of other visitors and photo-snappers. 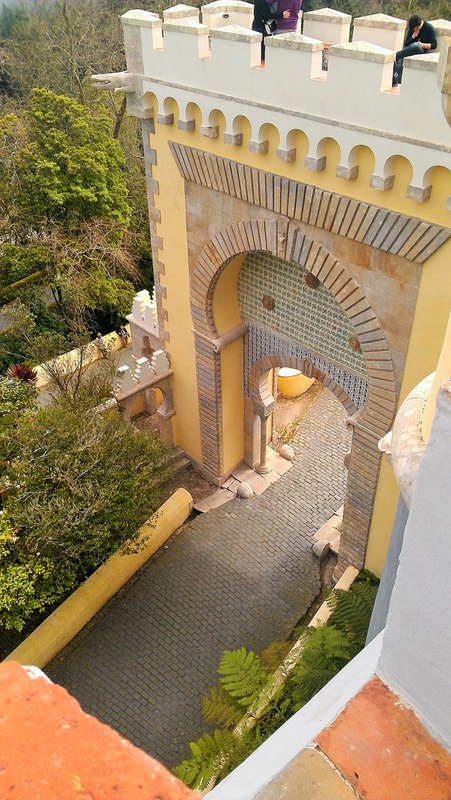 Exploring the town center with its lush gardens, outdoor art installations, and tiny shops and bars is a must either before or after visiting the castle. 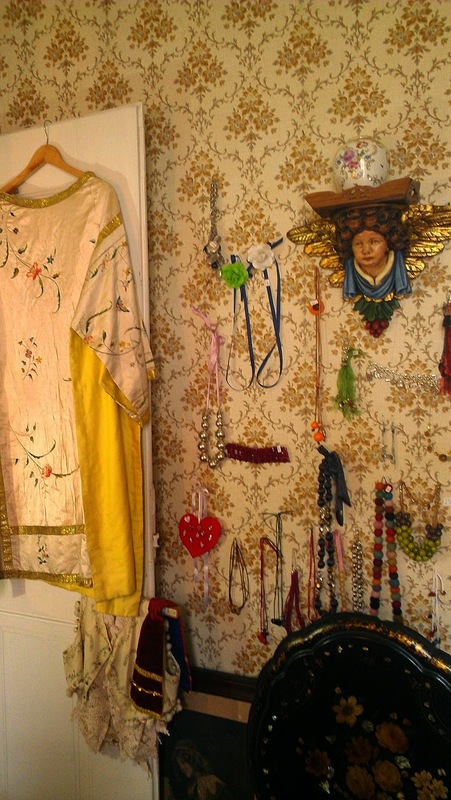 If a leisurely day at the beach followed by gazing and shopping at cute boutiques is more up your alley, Cascais is the better option. But, why choose? If you have the time, visit both. 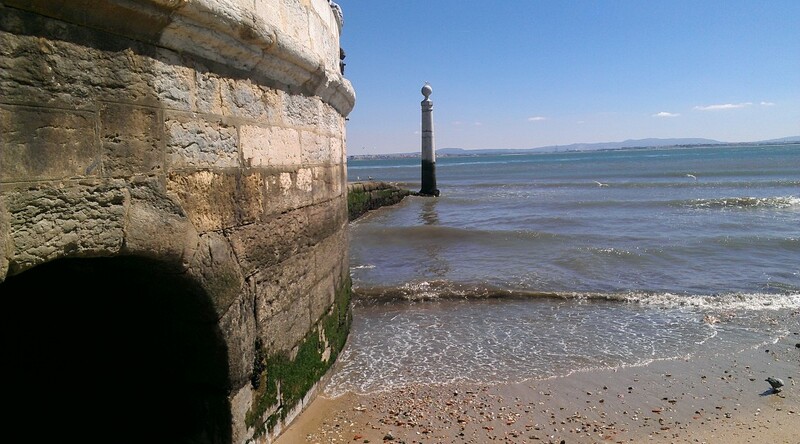 Belem – located in the southwest corner of Lisbon – is a perfect place to spend a leisurely, sunny afternoon. 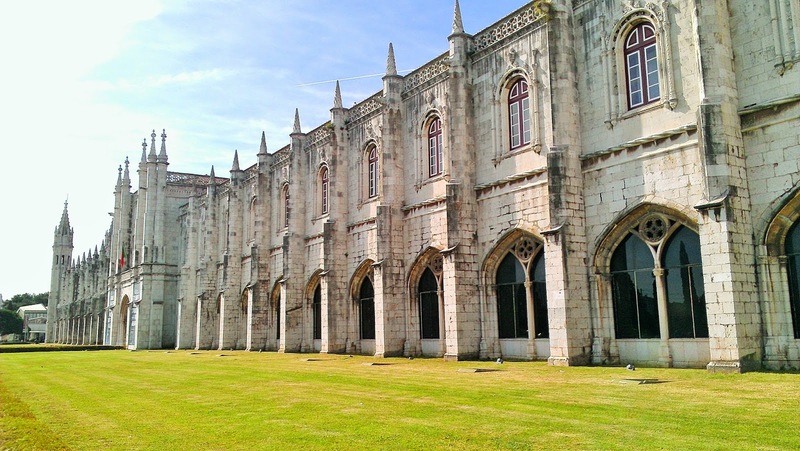 Some of the most iconic monuments of Lisbon are found here, namely The Jeronimo Monastery, The Monumento do Descubrimento, and the Torre de Belem. My advice is to take your time strolling through the area. Stop to people watch in the park in front of the Jeronimo Monastery. 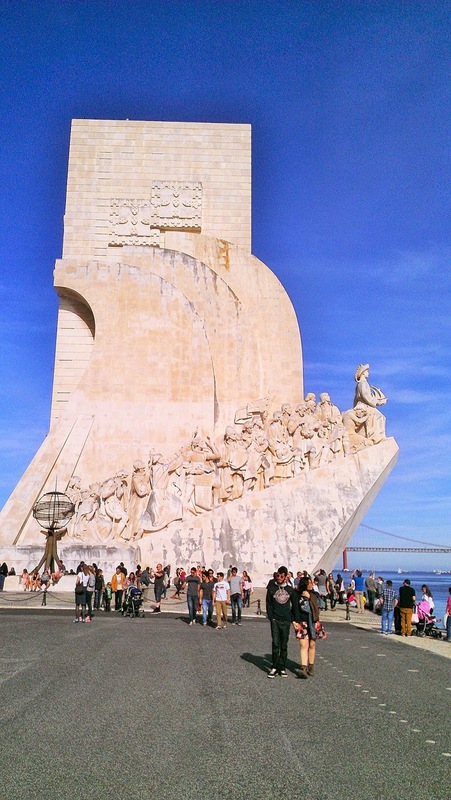 Soak up some sun at the edge of the river next to the Monumento de Descubrimento. 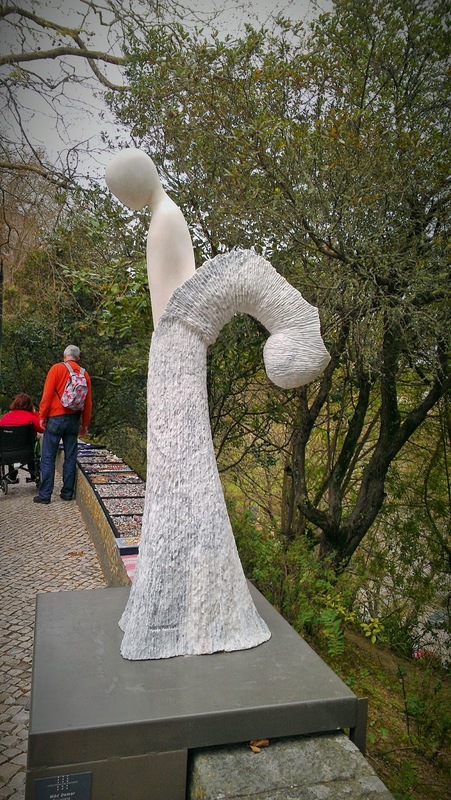 Have a gelato before walking over to Belem Park and stretching out in the shade of a tree for a while. 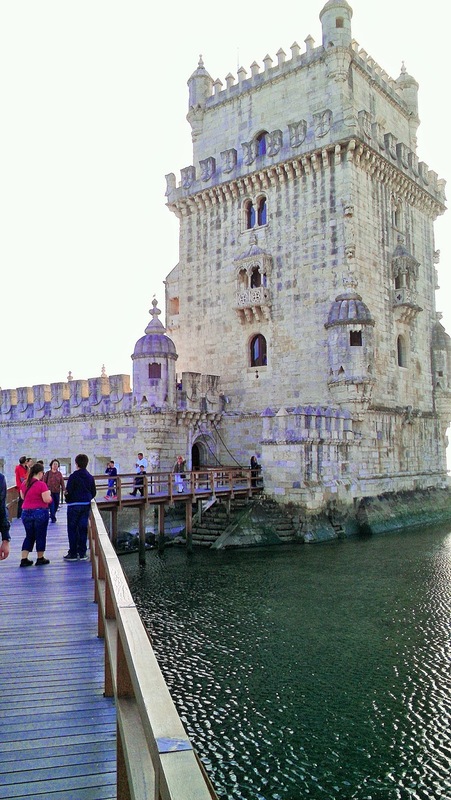 Perhaps the most famous ‘monument’ in Belem is the beloved Portugese pastry, pastel de Belem. This creamy, custardy tart can be found all over Lisbon and throughout the rest of Portugal (where it goes by the name, pastel de nata), but its birthplace is Belem. Its best enjoyed with a liberal sprinkling of cinnamon on top. So good. I love myself a good market. 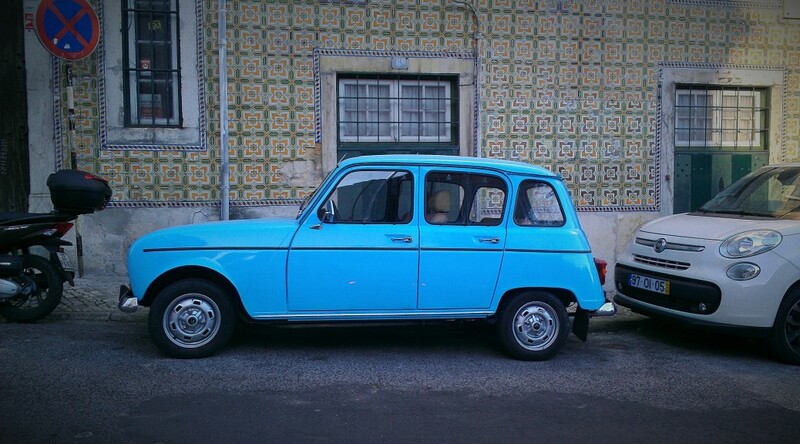 And Lisbon has plenty to choose from. 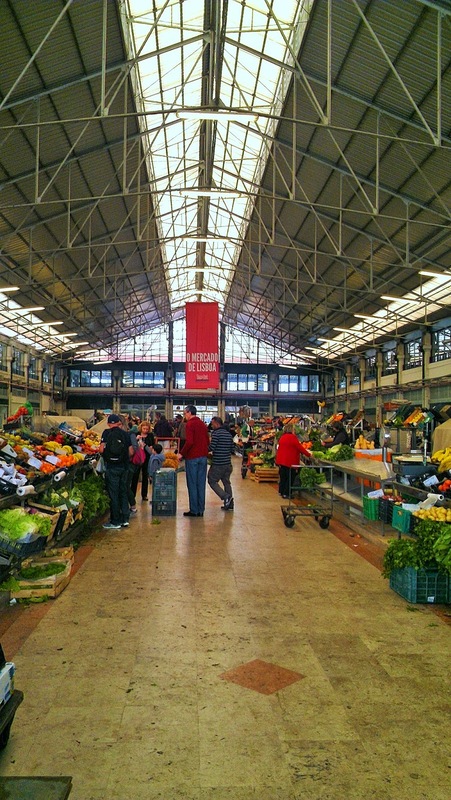 After reviewing a list of the best markets in Lisbon, I decided to try the Mercado da Ribeira – mainly because it offered both fresh foods and a selection of restaurants to eat in. I had no idea what I was in for when I arrived. The fresh food market was good, not great – even though I was able to score some okra (YAAY!!). But the real draw at the Mercado da Ribeira is the jaw-dropping selection of gourmet restaurant and food stalls on the opposite side of the building. There were stalls offering asian noodles, gourmet burgers, whole roast pig, craft beer and cider, and several with updated takes on traditional Portugese cuisine. DO go here on an empty stomach. The quality and creativity of the offerings were top notch. The prices, however, were unbelievably reasonable. Diners sit at communal tables in the center of the market. Since the Mercado da Ribeira is a popular spot for locals and visitors, I found myself chatting – and even sharing a few bites – with diners from 3 different countries. The Lisbon metro is modern, efficient, and pretty easy to use. The only hiccup I experienced was when I first arrived at the airport and couldn’t figure which direction to head in. 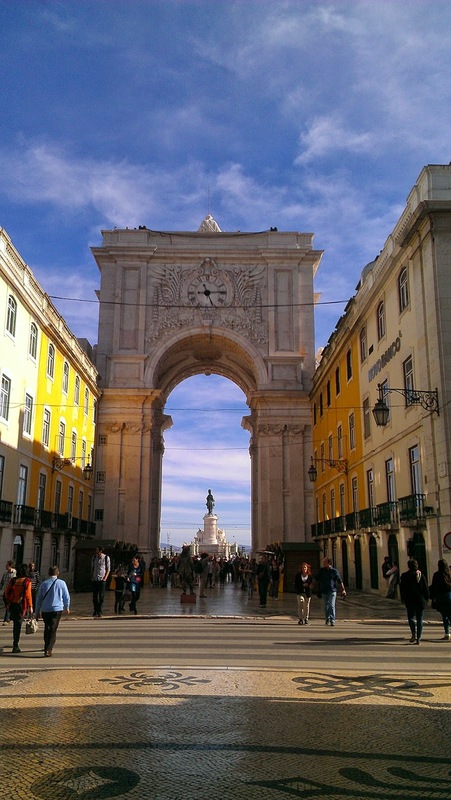 The metro goes to all of the neighborhoods and points of interest in central Lisbon. A reloadable, multi-trip card can be purchased and refilled at machines in every station. 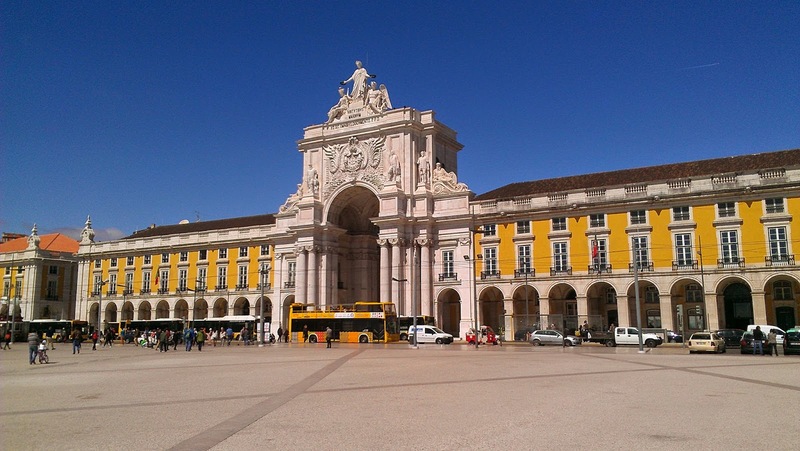 One of the best things about Lisbon’s public transportation system is that you can use the same multi-trip card on the underground metro, above-ground trams, trolleys and buses, and the suburban trains that go all the way to Cascais and Sintra. 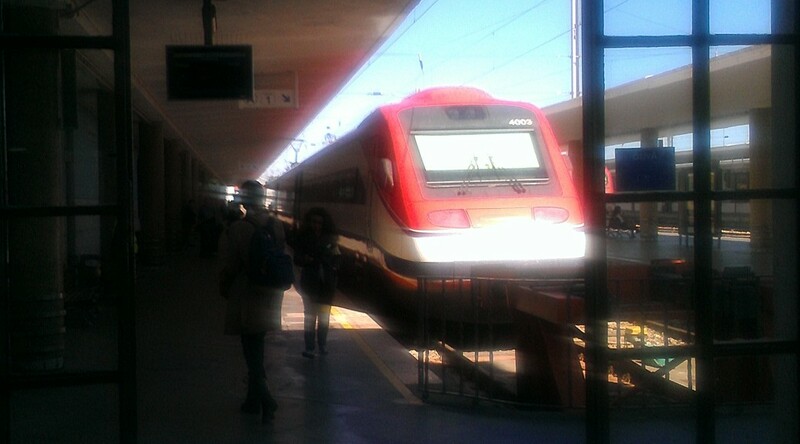 For long-distance destinations like Coimbra and Porto, you’ll have to purchase a separate ticket for one of the regional or inter-regional trains that depart from Santa Apolonia Station. At the south end of Rua Augusta is the Port of Lisbon which overlooks the river Douro, and provides a spectacular view of the April 25 bridge. The large adjacent plaza and the riverside promenade produce an endless parade of locals, tourists, and street vendors. Grab a table on the terrace at one of the nearby cafes, or cop a squat on the wall ledge at the edge of the river to soak it all in. 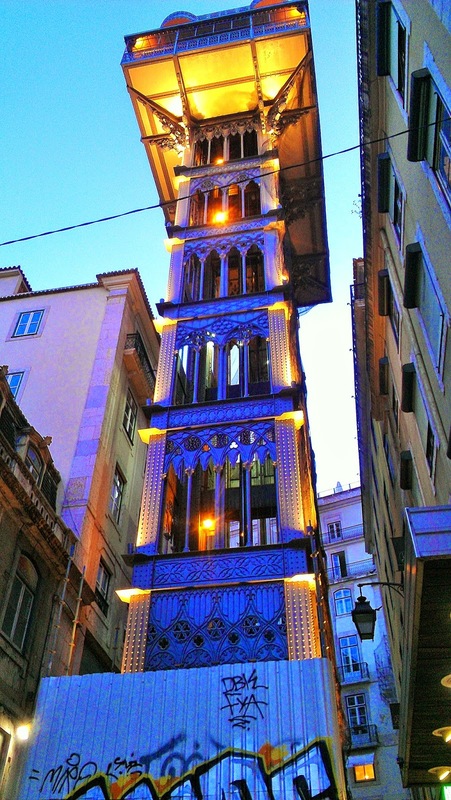 Once you’ve gotten your fill of gazing at the passersby, head up the Rua Augusta, browsing the shops and street performers, before heading over to have a look at the Santa Justa Elevator. 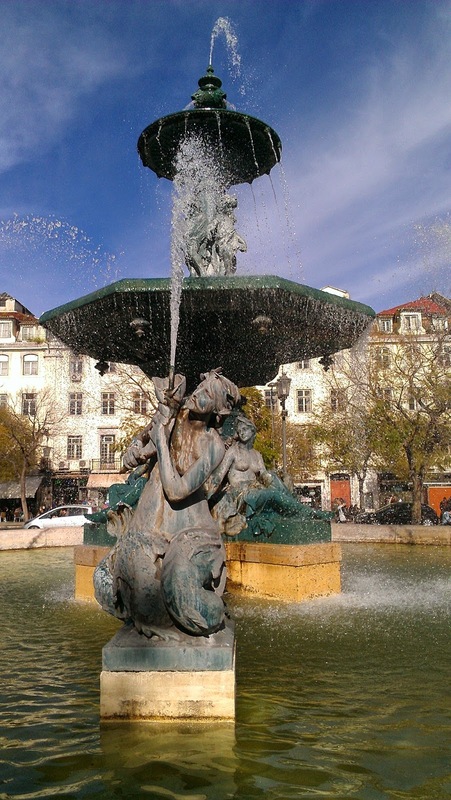 Push on a little further, and you’ll run into Rossio Square, with its picturesque fountains and always lively pedestrian scene. 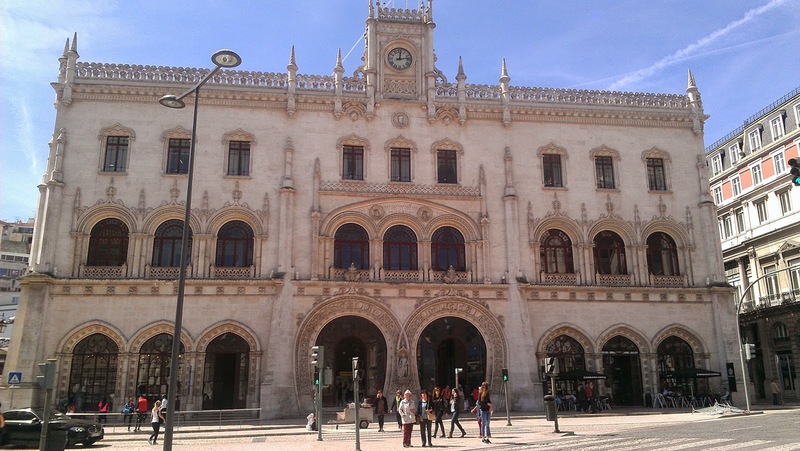 The nearby Rossio train station is worth a peek for its uniquely designed facade. A hint: It looks even better at night. 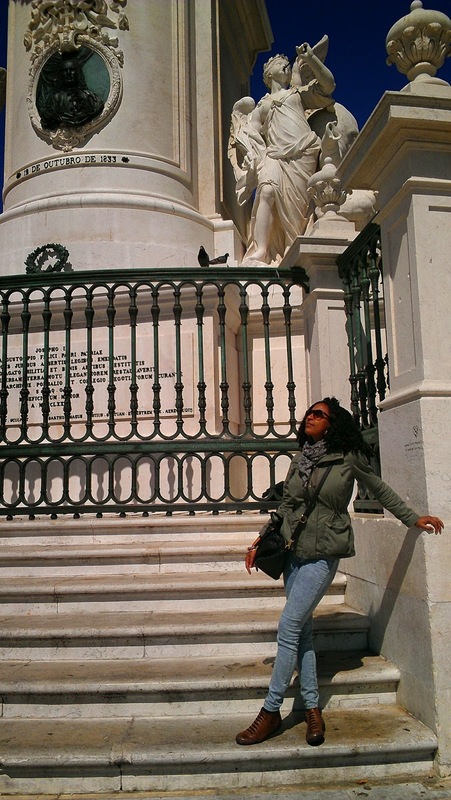 When researching things to do in Lisbon, I saw tons of recommendations for riding the #28 tram. 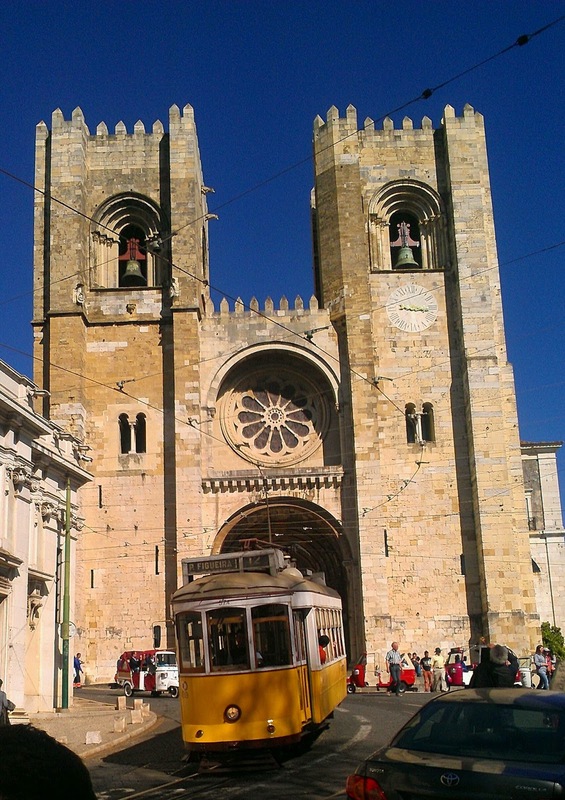 While seeing the city’s oldest neighborhood in this manner makes for a memorable experience, the tram is often literally overflowing with other tourists who also want to have this experience. I waited for 3 go-rounds of the #28, and was never able to get on because there wasn’t even room to breathe on board. The way I see it, even if you do get a coveted spot on the tram, you’re going to be packed in there like… well, like sardines. Not my idea of fun. 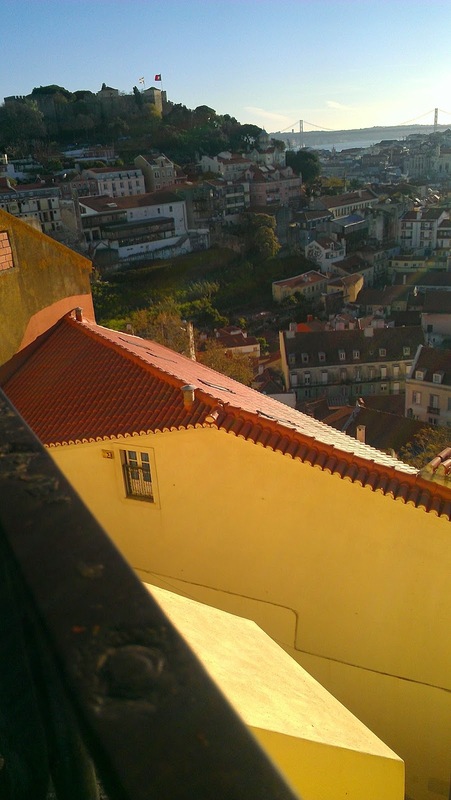 Though it’s an uphill climb, making the trek from the Lisbon Cathedral (Se de Lisboa) up through the Alfama neighborhood is a treat for the senses. 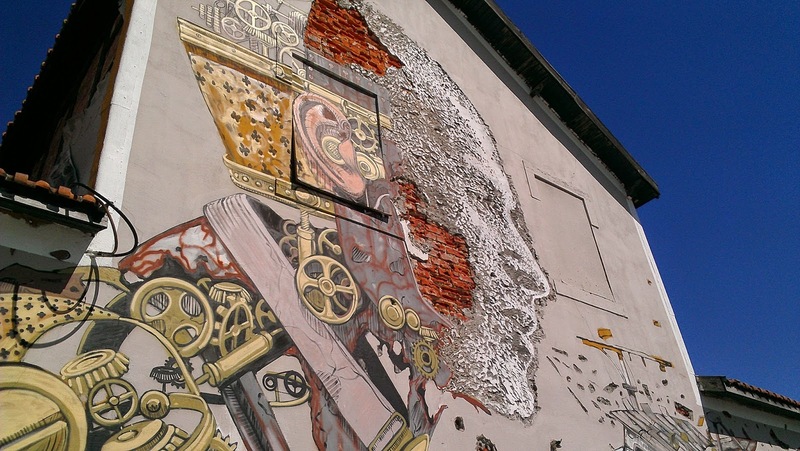 Cute shops, tiny traditional bars, crumbling buildings, winding staircases, and some fine street art will give you plenty of opportunities to stop for a look-see or a quick photo. 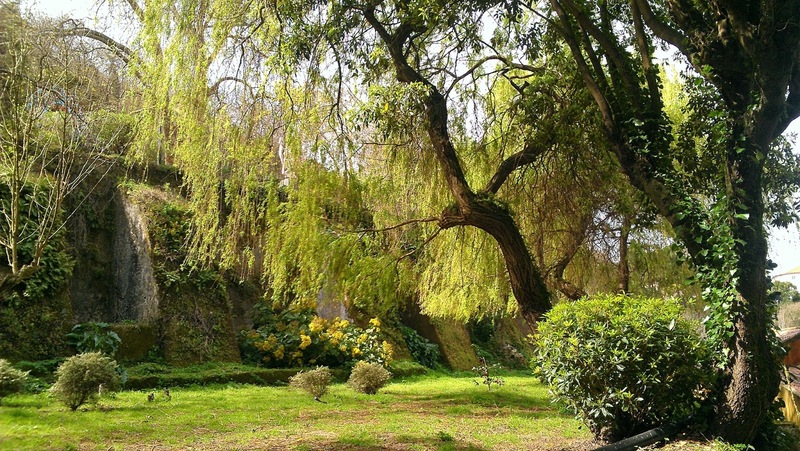 It’s the perfect place to get lost for a few hours. The best part is, you can take the #28 on your way back down – it’s usually much less crowded going the opposite direction. 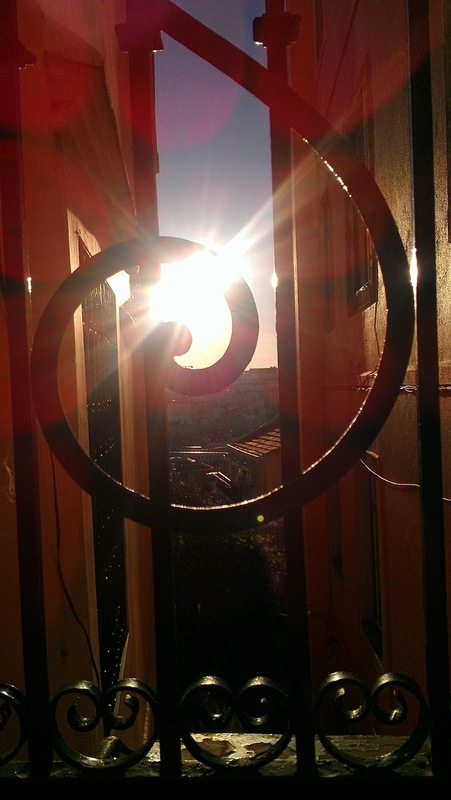 Lisbon is one of those places where it’s hard to capture the beauty with a camera. You have to stop often, pause, and soak it all in. Let the breeze sweep over you, turn your face up to the sun, smile a bit to yourself and then push on up the next steep hill, over the buckling cobblestone sidewalks, down the time-worn stone stairs, and around the next bend, where you’ll spy something else that makes you stop in your tracks, exhale sharply, and pause to admire it all over again. During my entire time there, I found myself repeating two words over and over: impressive, and picturesque. But there was also this feeling of welcoming ease. That is, unless I found myself in one of the heavily crowded, tourist-oriented areas of town. 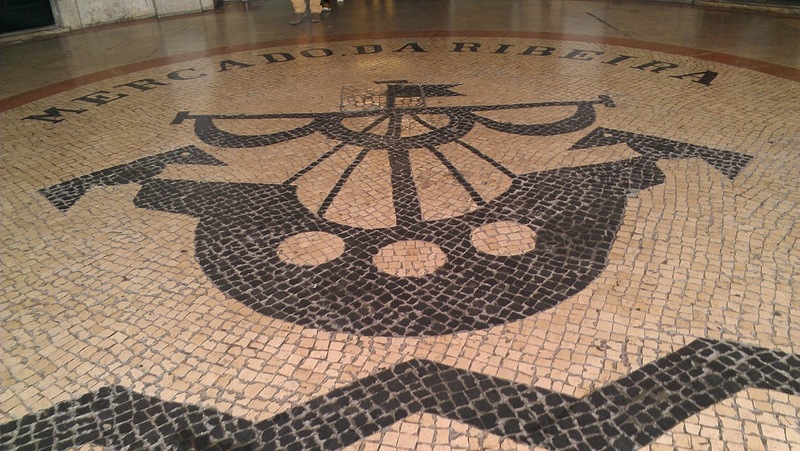 Even then, though, popping into a shop, I’d be met with a friendly bit of conversation, or be greeted with a familiar ‘bomdia nena’ as I passed one of the restaurant hawkers standing out in front of the rows of cafes, attempting to lure non-locals in for a slightly overpriced bite to eat. 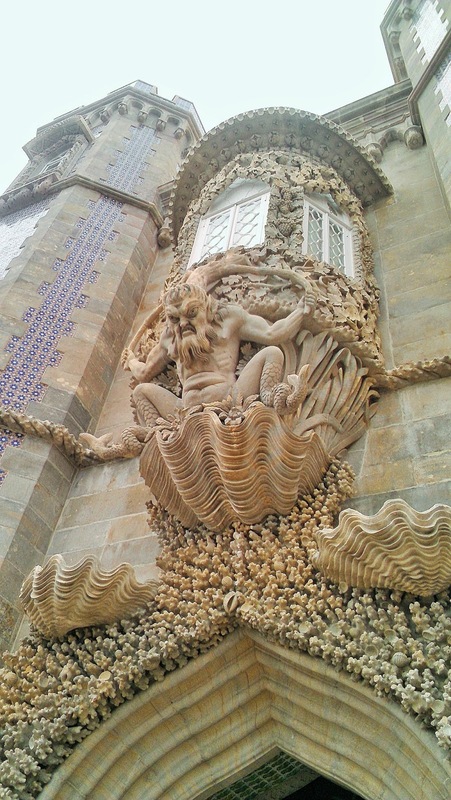 Before I left to visit the city, more than one Spanish associate of mine had used the same word to describe Lisbon: decadente. Upon hearing the word, I’d wrinkle my brow a bit and wonder if I was heading to some place that would be characterized by overindulgence or questionable morality. After arriving, however, I realized that what my associates had intended was the definition of decadence that I’d all but forgotten – that being a place characterized by decay or decline, a place that is now a faded vision of its former glory. Indeed, Lisbon is peppered with faded, dilapidated buildings, aged streets and sidewalks in need of repair, neglected and peeling facades, and a thin layer of grunge that seems to have lightly settled over almost everything. Yet, at the same time, the city manages to feel extremely modern and cosmopolitan. The efficient transportation system, the trendy shopping and bar districts, the amusing and provocative street art and performers, the cultural mishmash of colors, styles, nationalities, and cuisines you can see and smell as you stroll through the streets. 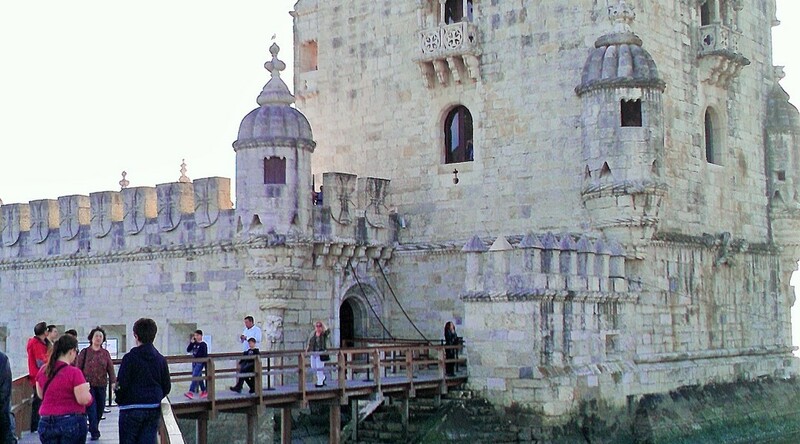 Couple that with the fact that the city is located next to a huge river and not far from the Atlantic Ocean, and you get the sense of constant flow – an unhurried busy-ness that imparts energy that keeps the city renewed and young despite the obvious fact that it is so very, very old. If you’re planning a trip to Lisbon, these travel tips will help you make the most of your time in the city. Bookmark this post, or sign up below to receive the latest posts in the series as soon as they’re published! 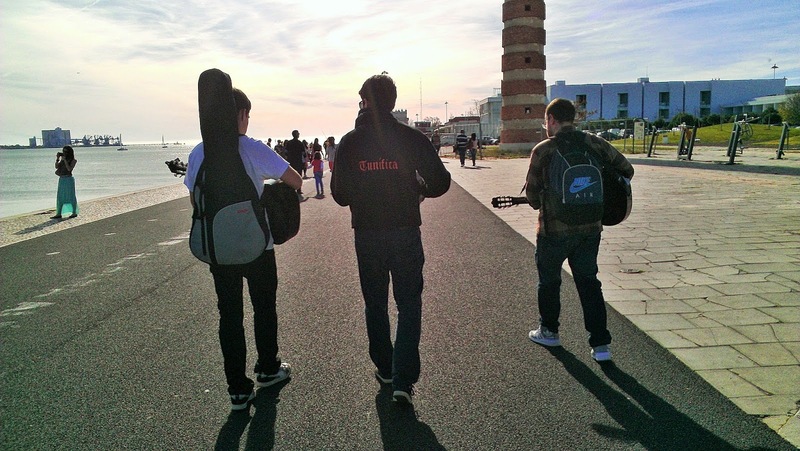 Read the first post now….